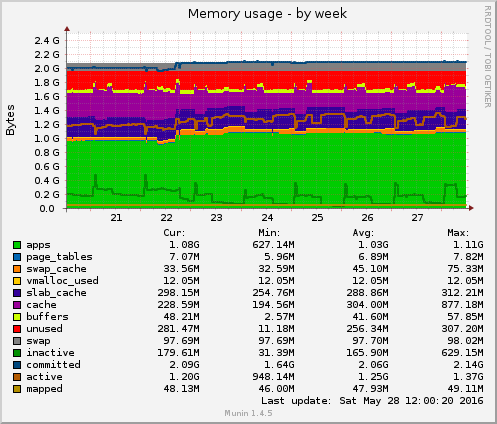 This graph shows what the machine uses its memory for. 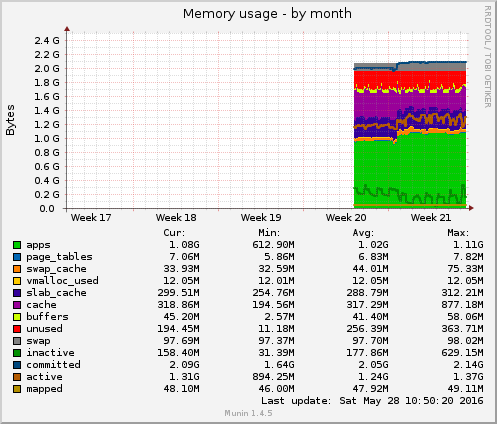 vmalloc_used vmalloc_used gauge Virtual memory used by the kernel (used when the memory does not have to be physically contigious). 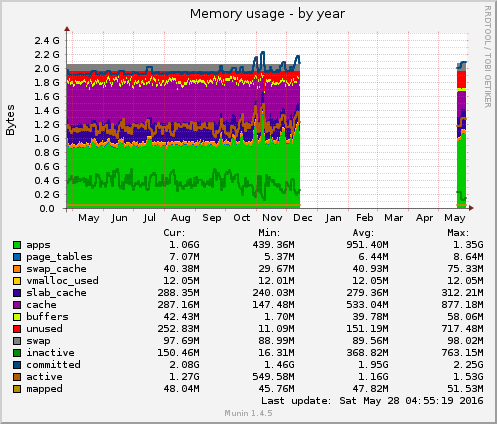 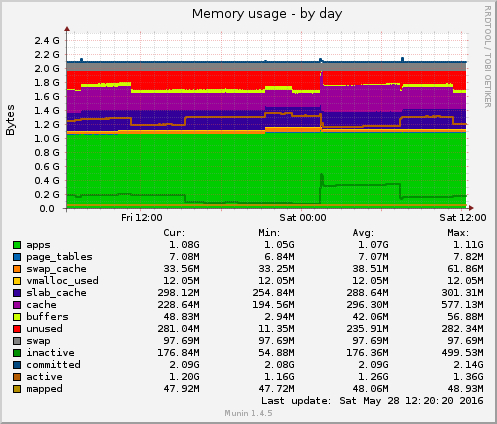 committed committed gauge The amount of memory that would be used if all the memory that's been allocated were to be used.